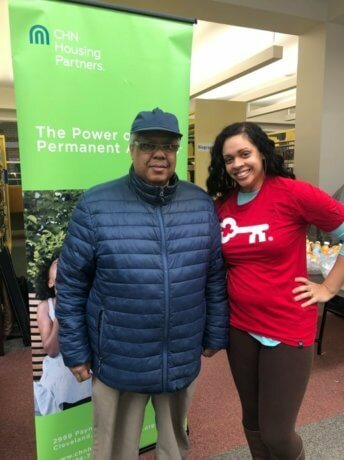 February 6, 2019 – On Saturday, February 2, 2019, CHN partnered with Enterprise Community Partners, KeyBank and St. Ignatius High School to hold the annual Super Refund Saturday. 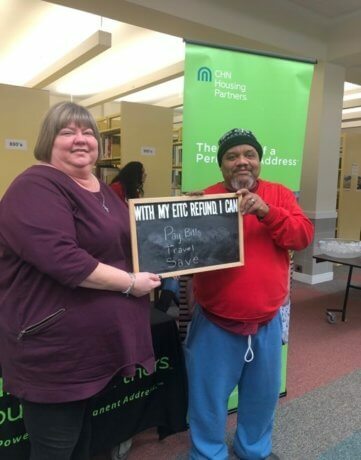 Volunteers from Key Bank, CHN Housing Partners, and other organizations prepared and filed tax returns for low to moderate income residents with special focus on identifying eligibility for the Earned Income Tax Credit (EITC). 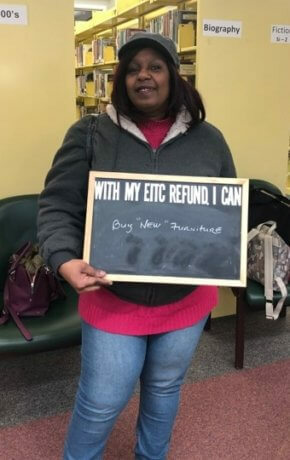 Each year, thousands of qualifying Americans do not claim the EITC on their tax returns, which means billions of dollars in much-needed refunds are left unclaimed. Super Refund Saturday helps residents navigate the potentially confusing tax process and volunteers make sure residents are able to claim their full refund. Our volunteers prepared and filed more than 160 tax returns on Saturday. We are grateful to them, as well as our partners, for making this day a success. We also extend our thanks to Cuyahoga EITC, United Way of Greater Cleveland, Legal Aid Cleveland, Z107.9, and the City of Cleveland.